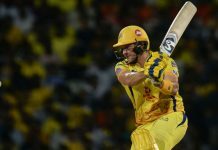 REVENGE will be on their mind when Mumbai Indians lock horns with Kings XI Punjab, the hosts looking to stretch their winning run in the Indian Premier League in Mumbai on Wednesday (10). MI enter the match high on confidence following successive victories over holders Chennai Super Kings and last edition’s finalists Sunrisers Hyderabad. Significantly both these victories came mostly because of MI’s all-round bowling strength as the bowlers defended totals successfully. MI are also blessed with splendid batting firepower in the end overs from West Indian Kieron Pollard and Hardik Pandya. 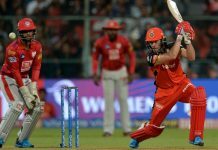 Kings XI, who too have been given a shot-in-the-arm by their six-wicket victory Monday night over Sunrisers, need to chip away at the top of the MI batting as well as ensure that the big-striking Pollard and Hardik don’t take away the game like they did when carving 45 runs in the last two overs against CSK to turn the game around. MI don’t even have anyone in the top-20 run scorers’ list this season, an indication of the depth in their batting, and have a superior fast bowling attack bolstered by the inclusion of West Indian pacer, Alzarri Joseph, who blew away Sunrisers with his record-breaking haul of 6/12 in Hyderabad in their previous game. The hosts have a formidable pace attack with Jasprit Bumrah and left-arm Jason Behrendorff also there, along with Joseph and Hardik, to utilise the bounce and carry on the Wankhede track. Kings XI, third on the table with eight points, have been top heavy in batting with K L Rahul and Mayank Agarwal leading the way with 200-plus aggregates and the indomitable Gayle too not far behind. In bowling, skipper Ravichandran Ashwin (7 wickets) has done well in five out of six games that the team has played and has got good support from the likes of Sam Curran, Mohammed Shami and Murugan Ashwin.